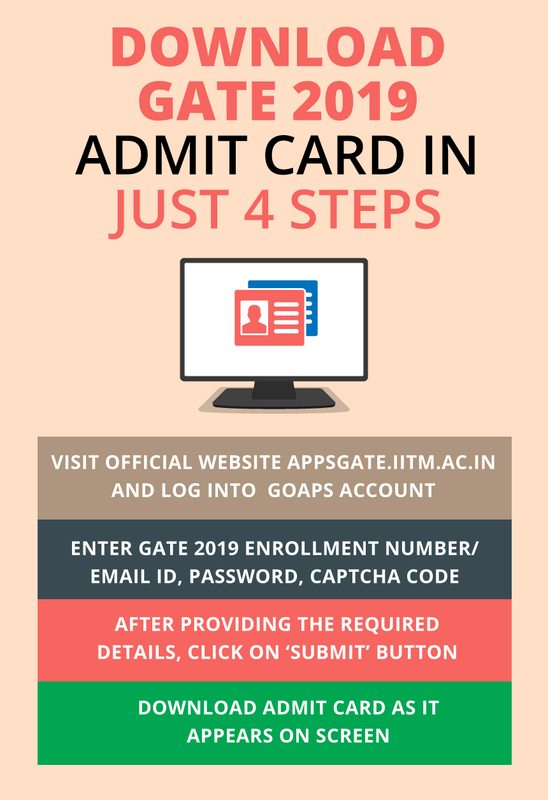 GATE Admit Card 2019 - The admit cards of GATE 2019 was released by IIT Madras on January 4, 2019. 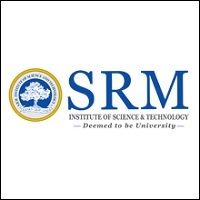 The GATE 2019 exam for all the 24 papers has been successfully conducted by IIT Madras on February 2, 3, 9 and 10 in forenoon and afternoon shifts each day. The GATE 2019 result has been announced on March 15. Candidates who have registered for the entrance exam were allowed to download the GATE admit card 2019 by using their enrollment ID or email ID and password through GOAPS in order to appear in the exam. 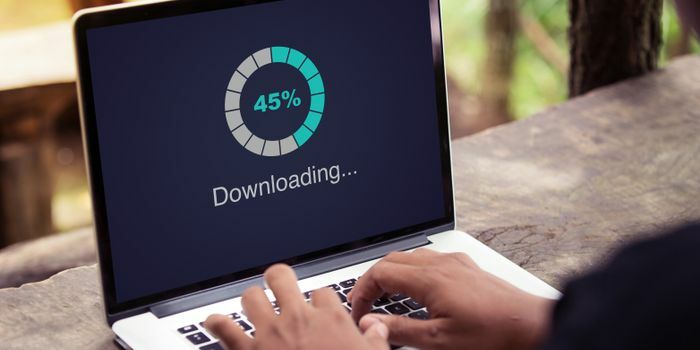 It is to be noted that the GATE 2019 admit card was not be sent to any candidate; they were required to download it. However, before downloading the admit card of GATE 2019, it is important that candidates check all the details mentioned over it and in case of any discrepancies, immediately inform the authorities.No request for any changes in the examination centre, date or time as specified in the GATE admit card 2019 will be taken into consideration by the authorities. On the GATE examination day, candidates will be required to carry their admit cards along with original identity proof, otherwise, entry inside the hall will be restricted. 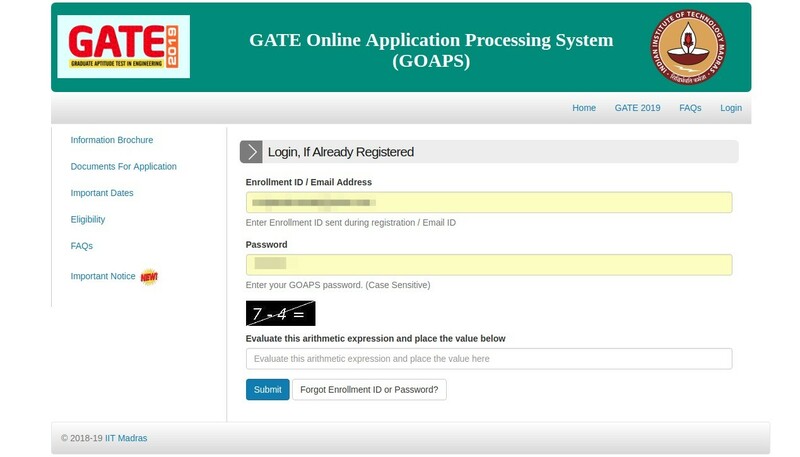 Candidates can get complete information in this article about GATE 2019 admit card including the process to download it, availability dates, and particulars of admit card, etc. 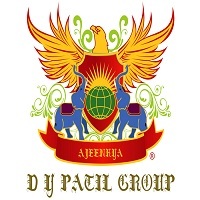 You can see the list of GATE Exam Centers here. The dashboard will open and the candidates will have to click on "Download Admit Card"
The admit card of GATE 2019 must be presented for verification along with the original valid photo identification proof specified at the time of filling the application form. A photo ID proof can be any of the following - Passport, PAN Card, Voter ID, Aadhaar-UID, College ID, Employee ID, or Driving License. Ques: When will I receive my GATE admit card? Ans: You will not receive the admit card of GATE by email or post as it will be available in online mode only. You will have to log in and download it. The facility to download is activated by IIT Madras and will be available till February 10. Ques: I checked my GATE admit card. The photo and signature are not clear. What should I do? Ans: In this case, download the admit card and email your GATE zonal centre specifying the problem attaching the copy of the admit card with it. They will rectify and send the correct one. To know your GATE zonal centre, check the IIT that is coordinating for your GATE 2019 exam centre. That will be your GATE zonal centre to whom you have to send the email to. 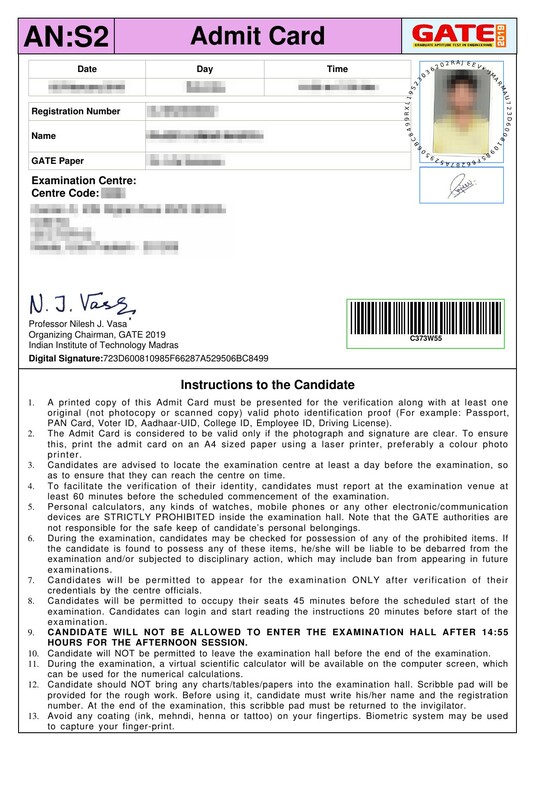 Ques: Are there any specification about the printout of the GATE admit card? Ans: Yes. The authorities have specified that GATE 2019 admit card must be a colour printout on an A4 sized paper. It is important to follow this guideline to avoid being restricted from going inside the exam hall. Ques: Is it compulsory to carry the original Photo ID along with the GATE admit card? Ans: Yes, it is compulsory. You will not be allowed to enter the examination hall in case, you don’t carry it. You need to carry your original Photo ID of the document you mentioned while filling the GATE 2019 application form. You will not be allowed inside the hall if you carry any other document. Ques: Do I have to take out a coloured print for my GATE 2019 admit card? Ans: Yes, you will have to take out the admit card in coloured print on A4 size paper. Ques: My photograph in the GATE 2019 admit card is blurred. Is it okay? Ans: Yes, it will be okay. However, please contact the authorities to get it corrected. Ques: Do I have to bring a hard copy of GATE 2019 admit card? Or will a soft copy also work? Ans: No, you cannot use any soft copy of GATE 2019 admit card. You will have to print out the admit card and bring it physically to the exam centre. Ques: Is it necessary to preserve my GATE 2019 admit card? Ans: Yes, it is necessary to keep GATE admit card 2019 safe as the scores of GATE will be valid for 3 years from the date of result declaration. 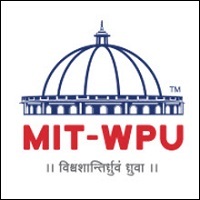 If you qualify and wish to take admissions in M.Tech programme a year later, you will be required to produce the admit card and the scorecard. Many PSUs recruit on the basis of GATE scores and at times they recruit on the basis of the previous year GATE scores. In such a case, you will be required to present GATE admit card while applying for the same. Therefore, it is advisable to keep a copy of GATE admit card 2019 safely. Ques: Is there any way I can retrieve my lost or forgotten Enrollment ID or password? In case you have forgotten your password, then you will have to provide your Enrolment ID and the request for an OTP. You will be able to change your password after entering your OTP. If you have forgotten your Enrolment ID, then click on "Forgot Enrolment ID". You will be able to get the enrolment ID through SMS. 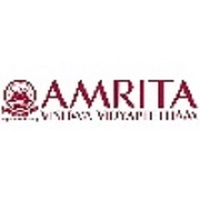 Ques: Whom should I contact if the details in my GATE 2019 admit card are wrong? Ans: In case there is any discrepancy in the admit card, you will have to immediately contact the authorities. Ques: Will I be provided with a rough sheet for calculations? Ans: Yes, you will be provided with a scribble pad. However, you will have to submit it back after the examination ends. Ques: What things will I be allowed to bring inside the GATE 2019 exam centre? Ans: Only your admit card and ID proof will be allowed inside the exam centre. Any electronic gadgets, papers, clip-boards, log tables and more will not be allowed inside the GATE 2019 exam centre. Ques: Can I use a physical calculator in the exam centre? Ans: No, you will not be allowed to. There will be an online scientific calculator for you at the centre. Ques: Will GATE 2019 be an online or offline examination? Ques: Which questions have 1 mark value?